Natural Gas Prices Set To Jump 52%, EIA Says! For more than 30 years, Houle Insulation Inc., a Minnesota based insulation contractor, has been re-insulating homes in Minnesota just like yours. A better insulated home is more energy efficient, comfortable and quiet. It will save you money on utility bills for years to come. And, by using less energy to heat and cool your home, you reduce the negative impacts on the environment caused by energy use. Houle Insulation Inc. specializes in re-insulating existing homes; sidewalls, attics, bypass sealing and blower door testing in the state of Minnesota. Blowing cellulose insulation into your walls and floors, and sealing attic bypasses can reduce high heating and cooling bills, ice dams and drafty rooms. Some other problems homeowners are faced with are frost, mold and water damage to ceilings. 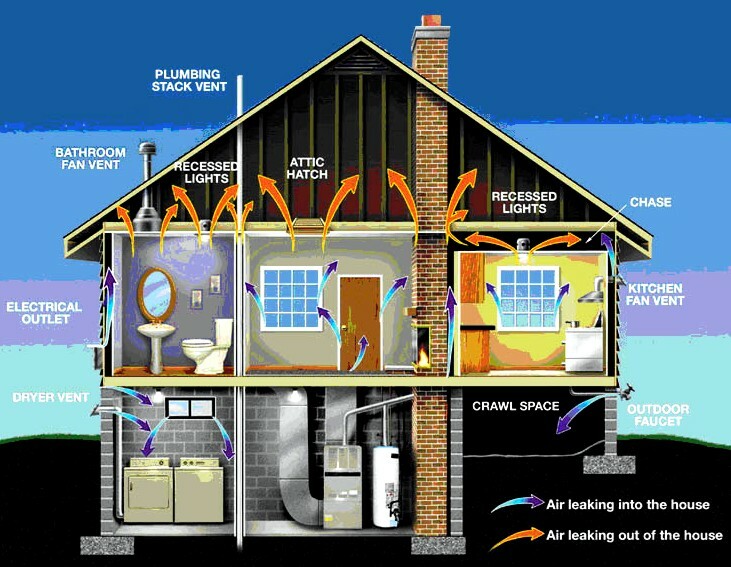 The discomforts of a poorly insulated home are often wrongly blamed on furnace and air conditioning problems when the actual cause is the insulation or installation of the insulation. You could save significantly on your heating and cooling bills by having attic bypasses sealed and insulating your walls and attic to adequate levels. Houle Insulation has done remedial work for the Metropolitan Airport Commission's (MAC) Sound Insulation Program and has contracts with the St. Paul Neighborhood Energy Consortium (Project Insulate), the Center for Energy and Environment, Minneapolis (Operation Insulation), and Community Action of Minneapolis. 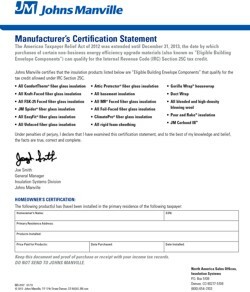 In January 2001, Dateline NBC recognized Houle Insulation as a reputable contractor citing, "Houle Insulation (did) careful checking and measuring and (gave) a very detailed estimate. Houle Insulation was not chosen to be the target of the expose' because of the thoroughness of the estimate that was given." Houle Insulation uses the most state-of-the-art equipment available, including 2 electric Krendl 2000 blowers and 1 Heat Seal Model 5000 blower. All sidewall insulation is done with the dense pack method and a blower door test is often done to test the air infiltration in a home. Todd Trauba began working for Houle Insulation Inc. in 1984. In June 1996, the Houles' sold the company to Todd and Jolene Trauba. Under their leadership, Houle Insulation was nominated for the Small Business of the Year Award from the MetroNorth Chamber of Commerce 2 years in a row; 2002 and 2003. 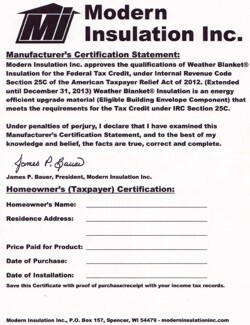 In 2003, Houle Insulation Inc. won the award. 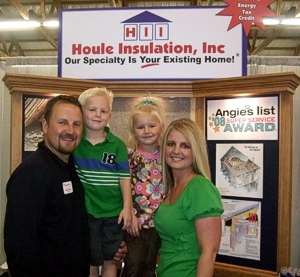 In 2003, 2005, 2006, 2007, 2008, 2009, 2010 & 2011 Houle Insulation received Angies List Super Service Award® Twin Cities. Also accomplished in 2005, Houle Insulation was accepted as a member of the National Association of the Remodeling Industry (NARI®), Minnesota Chapter. In June 2007 the Trauba's sold the company to Arne and Kari Olson. Arne is a former employee with 12 years of insulation experience. The Olson's will strive to continue Houle Insulation Inc.'s tradition of being fair, honest and offering exceptional work. Houle operates on the belief that it is better to stay a small company rather than expand too quickly and risk losing quality control. Choose your insulation contractor wisely, choose Houle Insulation. 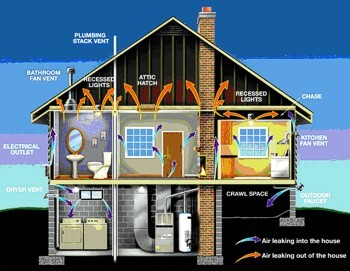 We would be happy to come to your home and provide a FREE Estimate of your insulation needs. Please complete the following information and we will contact you to arrange an estimate. Please note our services are only available in the state of Minnesota. Thank you! How Did You Find Houle Insulation? © Copyright 2003-2017 by Houle Insulation Inc. All rights reserved.